Queen Marie Antoinette had cracked windows in her otherwise perfect home in Versailles. Versailles places high on tourists’ hit lists when they come to France. So the main palace is, during normal operational hours, packed full with people from all over the world. But if you take a twenty-minute walk through the grounds and away from the main palace, you will find the much quieter area of the Petit Trianon. In the 1760s, esteemed architect Ange-Jacques Gabriel designed the small chateau for the then king Louis XV’s mistress Madame de Pompadour. However, as she died early, the chateau’s first real inhabitant was Louis XVI’s wife Queen Marie Antoinette. Marie Antoinette used this small and ornate chateau as a quiet space to get away from the daily stresses of the public court life at Versailles. “It was a nightmare to live in Versailles,” explains the Trianon’s chief curator and historical expert Bertrand Rondot. Even before the advent of the modern paparazzi, people were always watching the king and queen’s every move. So Marie Antoinette would retreat to this secluded home to relax. Because of this, Antoinette did a lot to make a home of her isolated hideaway. She had the initials of the old king removed almost everywhere and replaced them with her own initials, tried and failed to replace paintings she deemed too lewd, and even had a private theater made in which she could perform shows for her guests. 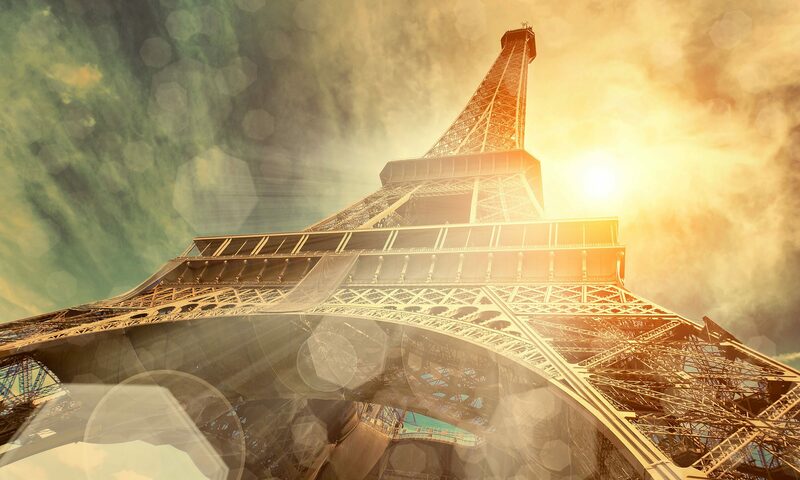 The Queen of France had the imagination and the resources to make almost everything perfect. However, there is one thing she could not make perfect no matter how hard she tried. 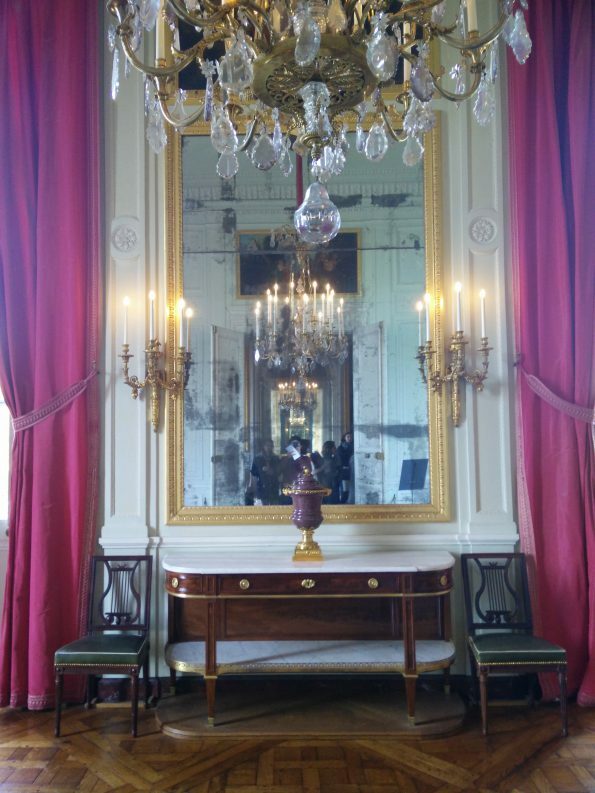 If you stroll through the Petit Trianon, you will notice several rooms have large mirrors adorning nearly the full length of the walls. However, these mirrors always have a straight horizontal line running through them somewhere near the top. That is, these mirrors are actually two mirrors put together and made to look like one. But nevertheless the effect is to make it look like all of the mirrors have a crack running through them. So to the viewer all these mirrors look broken. Rondot explains that during the time of Marie Antoinette they did not have the technology to make wall size mirrors. 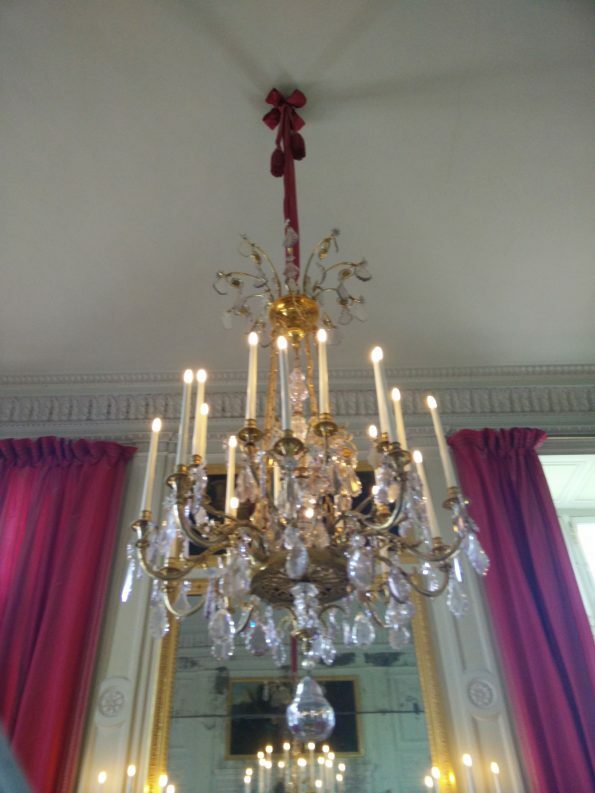 And so, the solution was to make one mirror as tall as possible, and then to add a second one to make up for the difference (in the main palace’s Hall of Mirrors, the solution was to make several smaller parts to add together). Rondot says the split would have been less obvious at the time of Marie Antoinette because the damage of the years would not have made the divide greater. 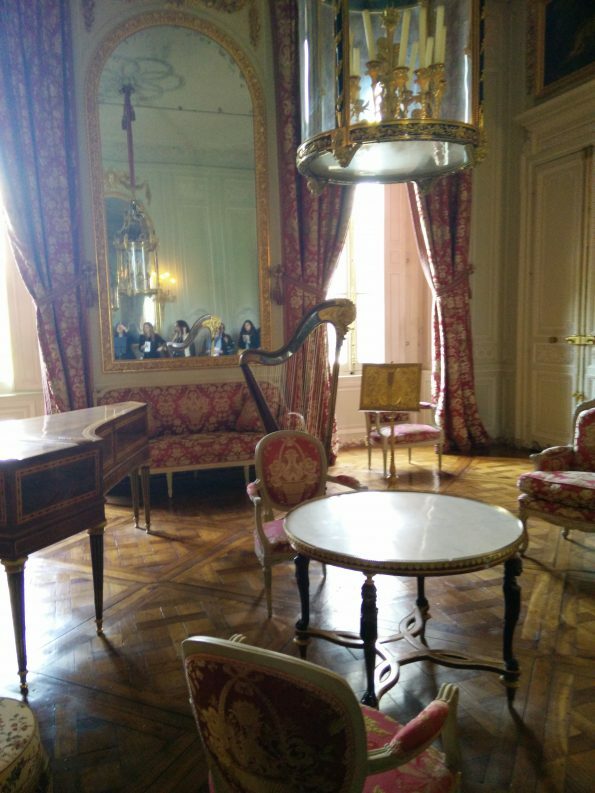 But still, after so meticulously ensuring perfection in every part of this small house, it is astonishing that even Marie Antoinette could not have perfect mirrors. It is astonishing that she may have walked around her luxurious home and passed by a series of apparently broken mirrors. It is not difficult to imagine her moving from one room to another, regarding herself in one of the many mirrors, and then looking up to note the crack in it. This one imperfection, surrounded by hand crafted furniture and gold covered chandeliers, was maybe a reminder that no matter how hard she tried, she too was not perfect. And this would be a fitting thought. Because just as the head of the mirror is cut off from the main body, Marie Antoinette herself would soon find something similar happen to her.